Most people start their journey in Nairobi, but few linger when there are more attractive cities strung out along the sun-kissed Kenyan coast and dotted around the Great Rift Valley. 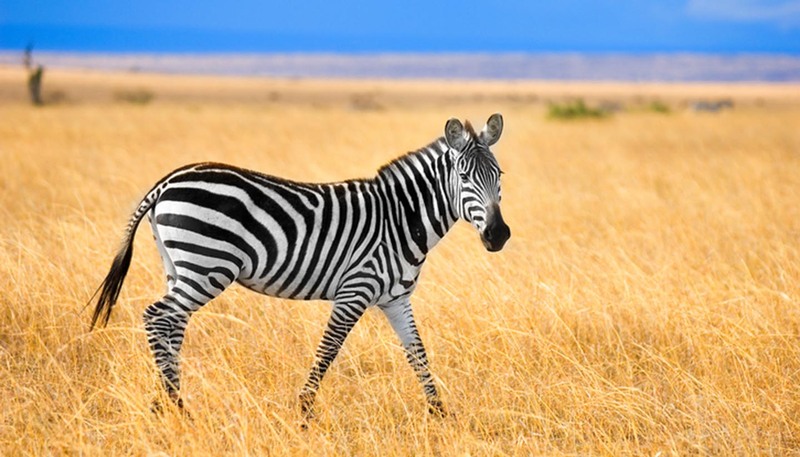 Whether you pick the interior or the coast, with its beach resorts and Islamic ruins, you can be sure to find a national park or reserve close at hand – Nairobi even has a national park within the city limits, with zebras and giraffes just a stone’s throw from the suburbs. Kenya is also a great place for cultural encounters, with more than 40 different tribal groups, each following its own unique way of life. The semi-nomadic Maasai, with their multi-coloured, bead-covered adornments, are perhaps the most obvious group, but visiting any tribal village is a fascinating and enlightening experience. President Uhuru Muigai Kenyatta since 2013. The areas to which the FCO advise against all but essential travel (marked in amber on the map above) don’t include Kenya’s safari destinations in the national parks, reserves and wildlife conservancies (including the Aberdare National Park, Amboseli, Laikipia, Lake Nakuru, Masai Mara, Meru, Mount Kenya, Samburu, Shimba Hills and Tsavo), nor does it include the beach resorts of Mombasa, Malindi, Kilifi, Watamu, Diani, Lamu Island and Manda Island, or Mombasa (Moi International), Malindi and Manda airports. If you travel to Lamu Island or Manda Island, you should do so by air to Manda airport and not by road. However, there’s a heightened threat of terrorism, including terrorist kidnappings, across Kenya, including to people travelling in or through Nairobi, the coast and resort areas around Mombasa and Malindi, the towns of Narok, Naivasha, Nanyuki and Meru and their surrounding areas, and the northern border counties. Attacks, including terrorist kidnappings, could target Westerners, including British nationals. Attacks could be indiscriminate in places frequented by foreigners including hotels, bars, restaurants, sports bars and nightclubs, sporting events, supermarkets, shopping centres, coastal areas including beaches, airports, buses, trains and other transport hubs. Places of worship including churches and mosques have also been targeted. Be particularly vigilant in these areas. You should consider making personal contingency plans, and refer to our advice on travel when planning your journeys. Keep up to date with this travel advice by subscribing to email alerts. On 15-16 January 2019, there was a terrorist attack at the 14 Riverside complex in Nairobi, resulting in injuries and loss of life. One British national was killed. The Inspector General of the Kenyan police has called on the public to adopt a higher level of vigilance and report any suspicious people or activity straight away. In light of security concerns, the Kenyan government has imposed a curfew in Mandera county and large parts of Lamu county, Tana River county and Garissa county for the hours 6:30pm to 6:30am. This curfew doesn’t apply to Lamu Island, Manda Island or Pate Island. Check local media before you travel. President Kenyatta was inaugurated for a second five year term on 28 November 2017 following a tense election period which saw an increase in protests across the country, some of which turned violent. The situation has calmed but further demonstrations and clashes are possible. You should exercise caution and, where possible, avoid travelling around areas where demonstrations may take place. This may include large gatherings, universities, political party headquarters, and offices of the electoral commission. You need a visa to enter Kenya. You can either get a visa on arrival at the airport, or before you travel. To minimise time spent queuing at the airport, get a visa before you travel. You can apply for single entry and transit visas on the evisas website. You can also apply for these, and other types of visa, at the Kenya High Commission in London. For more information, see the website of the Kenya High Commission. There are frequent incidents of violent crime including mugging, armed robbery and carjacking, particularly in the large cities. Around 100,000 UK residents visit Kenya every year. Most visits are trouble-free. Consular support is limited in parts of Kenya where we advise against all but essential travel. The Overseas Business Risk service offers information and advice for British companies operating overseas on how to manage political, economic, and business security-related risks. Take out comprehensive travel and medical insurance before you travel. Bag snatching is common in transport hubs like bus stations, railway stations and airports. Mugging, kidnapping, car-jacking and armed robbery occur regularly, particularly in Nairobi, Mombasa and other large cities. Although uncommon, incidents of violent crime have resulted in the death of several British nationals in recent years. Crime rates are higher in slum areas of Nairobi, the Old Town of Mombasa and on and around the Likoni Ferry (which links Mombasa and the southern resorts). Gun attacks in Kwale County on the south coast resulted in fatalities in September and October 2017. You should be vigilant at all times and follow any security advice given by your employer or your hosts. If you’re attacked, don’t resist. Avoid walking around after dark, especially in isolated areas like empty beaches. Avoid carrying large amounts of cash and don’t wear expensive watches, jewellery or items of sentimental value. You must carry a form of ID with you at all times. A copy of your passport is normally acceptable, but recently some police officers have been insisting on the original document. Beware of thieves posing as police officers or private Security Guards. Always ask to see identification. Don’t accept food or drink from strangers as it may be drugged. Only stay in tourist camps with good perimeter security. If in any doubt, seek advice from your tour operator or the Kenya Tourism Federation (telephone: + 254 20 800100). If you’re involved in any security incident, insist that the British High Commission is informed straight away. The Foreign and Commonwealth Office (FCO) advise against all but essential travel to within 60km of the Kenya-Somali border; to Garissa county; to Lamu county (excluding Lamu Island and Manda Island); to areas of Tana River county north of the Tana river itself and to within 15km of the coast from the Tana river down to the Galana (Athi-Galana-Sabaki) river. 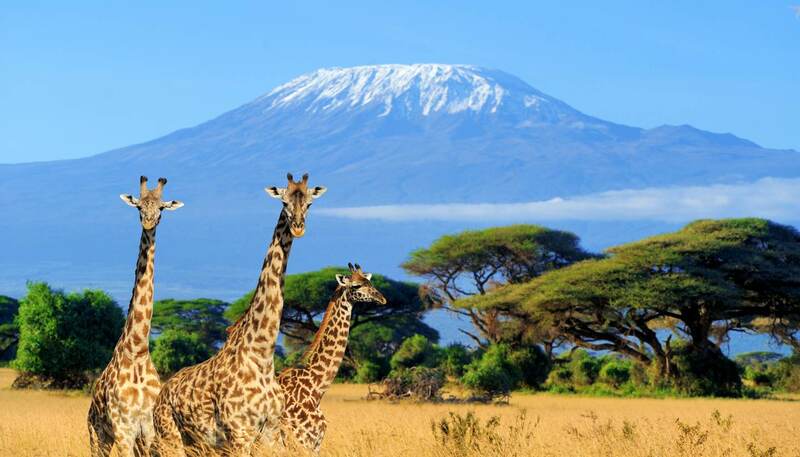 The following areas aren’t covered by the FCO’s advice against all but essential travel: national parks, reserves and wildlife conservancies; including the Aberdare National Park, Amboseli, Laikipia, Lake Nakuru, Masai Mara, Meru, Mount Kenya, Samburu, Shimba Hills, Tsavo, as well as the beach resorts of Mombasa, Malindi, Kilifi, Watamu, Diani, Lamu Island and Manda Island. Mombasa airport (Moi International Airport), Malindi airport and Manda airport aren’t included in the area to which the FCO advise against all but essential travel. For travel between Jomo Kenyatta Airport (JKIA) and Nairobi city you should use the Mombasa road. There is a higher risk of car-jacking on the old airport road (Airport South Road) and Jogoo Road. If you travel to Lamu Island or Manda Island, you should do so by air to Manda airport and not by road. The Mombasa road to JKIA can get very busy during rush hours, and check in can take several hours; you should allow plenty of time to get to the airport. A new vehicle security check outside JKIA has also added to journey times. There were a number of violent incidents that resulted in fatalities in Coast Province in 2013. Although these were mainly against Kenyan police targets, you should take extra care in the coast area and be vigilant, particularly in public places. Most visits to game reserves and other tourist areas are trouble-free. If you visit reserves, use reputable tour operators and arrive at your destination in daylight hours. Don’t buy safari tours from touts. Always follow park regulations and wardens’ advice. There are risks associated with viewing wildlife, particularly on foot or at close range. Bathing in rivers and lakes is forbidden in National Parks and is best avoided elsewhere due to the dangers from both wildlife and water-borne disease. Rural areas, particularly in the north and north eastern parts of Kenya, experience cattle rustling, banditry and ethnic clashes. Foreigners are not usually the target of localised violence and banditry, but you should take great care in the north and north east. In 2017, the central county of Laikipia saw incursions by pastoralist cattle herders onto privately held ranches and conservancies, in some cases leading to violence and arson. On 5 March 2017 a British national was murdered on his ranch as he went to investigate damage caused by invaders. Kenyan security forces have taken steps to enforce private property rights and the situation has calmed. However isolated issues could still occur and you should check the latest situation at your destination before travelling to the region. This resulted in some hotels and tourist lodges in the affected areas cancelling bookings made by clients. Disturbances have now largely been brought under control following Government intervention. However, if you’re travelling to Laikipia it’s advisable to telephone ahead to your host to check the latest situation locally and ideally to travel in convoy of at least 2 vehicles. Although the border with Somalia has officially been closed since 2007, crossings take place frequently. Landmines have been used in attacks around Moyale, close to the main A2 road south. Vehicles crossing the Kenya-Ethiopia border at this point should stay on the A2. Avoid staying at the rest house at Sololo - travel directly to Marsabit Town before breaking the journey. As a result of previous armed clashes in the area of Mount Elgon in western Kenya next to the Ugandan border, a large security presence remains and further incidents are possible. Seek local advice before you set off. You can drive in Kenya with a valid UK driving licence for up to 3 months, or on a valid International Driving Permit. If you’re staying longer or living in Kenya, you’ll need to get a Kenyan driving licence. If you’re planning to hire a car, check with your car hire company for information on their requirements before you travel. Only hire vehicles from reputable companies. Road conditions and driving standards are often poor. Drive with windows closed and doors locked. When driving outside cities and in remote areas consider driving in convoy. Avoid driving at night wherever possible. There have been a number of serious accidents involving long-distance buses. Vehicles are often poorly maintained and driven at excessive speed. Check the bus operator’s safety standards. Though very cheap to use, matatus (minibuses) are notorious for being poorly maintained, badly driven and uninsured. There are frequent reports of matatus being hijacked and passengers being robbed. On the spot fines are common, but not legal. If stopped by a police officer you should ask for the due process to be followed. The officer should issue you with a ‘receipt for cash bond’, a piece of paper telling you when and where you need to attend court to answer the charge against you. Passenger trains run between Nairobi and Mombasa. Take care of your belongings while on the train and at railway stations. If you leave your compartment, take your valuables with you. There are some concerns about the lack of security arrangements in place at Wilson airport in Nairobi. The airport is mainly used for domestic flights, including charters. Be vigilant at all times when transiting airports. If you plan to charter a private aircraft, check with the company’s Safety Pilot about the condition of the aircraft and runways to be used. If the company has no Safety Pilot, find another company that does. Local rules and regulations prohibit photography at airports. You could be fined or imprisoned. The threat of piracy related activity and armed robbery off the coast of Somalia, in the Gulf of Aden and Indian Ocean remains significant. Reports of attacks on local fishing dhows in the area around the Gulf of Aden and Horn of Africa continue. The combined threat assessment of the international Naval Counter Piracy Forces remains that all sailing yachts under their own passage should remain out of the designated High Risk Area or face the risk of being hijacked and held hostage for ransom. For more information and advice, see our Piracy and armed robbery at sea page. The LOCATE system is no longer used for registering details of British nationals. You can keep up to date with this travel advice by subscribing to email alerts. Read the FCO’s How to deal with a crisis overseas page for further information and advice. Terrorists are very likely to try to carry out attacks in Kenya. The Inspector General of the Kenyan Police has called on the public to adopt a higher level of vigilance and report any suspicious people or activity straight away. There’s a heightened threat of terrorism, including terrorist kidnappings, across Kenya, including to people travelling in or through Nairobi, the coast and resort areas around Mombasa and Malindi, the towns of Narok, Naivasha, Nanyuki and Meru and their surrounding areas, and the northern border counties. Attacks, including terrorist kidnappings, could target Westerners, including British nationals. Attacks could be indiscriminate in places frequented by foreigners including hotels, bars, restaurants, sports bars and nightclubs, sporting events, supermarkets, shopping centres, coastal areas including beaches, airports, buses, trains and other transport hubs. Places of worship including churches and mosques have also been targeted. Be particularly vigilant in these areas. The main terrorism threat is from extremists linked to Al Shabaab, a militant group in Somalia opposed to the Somali government. Al Shabaab has issued public threats against Kenya due to Kenya’s military intervention in Somalia. The Kenyan authorities have increased security to counter potential reprisal attacks by Al Shabaab. There’s some evidence of growing support for Daesh (formerly referred to as ISIL) in Kenya. There have been a number of attacks in Kenya in recent years, particularly in Garissa, Lamu and Mandera counties and other areas close to the Somali border, most of which were attributed to Al Shabaab. These have killed members of the Kenyan security forces as well as civilians. The Kenyan security forces have increased their presence in the affected areas. Armed militia groups operate within the Boni Forest and along the border between Garissa county and Somalia. Further attacks are likely. Methods of attack have included grenades, knife attacks, shootings and bombings, including car bombings, and improvised explosive devices. The FCO advise against all but essential travel to within 60 km of the Kenya-Somali border. On 14 March 2018, the Inspector General of the Kenyan Police reported that a major terrorist attack, targeting Nairobi, had been prevented by Kenyan police in February 2018. Six British nationals were killed in the September 2013 attack on the Westgate shopping mall in Nairobi. Since spring 2017, there have been multiple attacks in Garissa county and mainland areas of Lamu county involving improvised explosive devices, armed militia and fatal knife attacks. Several terrorist attacks took place in Garissa county in 2015, including an attack on Garissa University College on 2 April 2015 in which at least 148 people were killed. In June and July 2014 attacks in Lamu and Tana River counties on the Kenyan coast are reported to have killed at least 85 people. Al-Shabaab claimed responsibility for the attacks. Kenyan official buildings such as government offices and law enforcement personnel and facilities have been targeted. Somali government interests in Kenya may also be targeted. Take extra security precautions if you plan on travelling to any of these places. The authorities in Kenya have successfully disrupted a number of planned attacks and made a number of arrests in recent years. They have also provided extra protection including in areas near to the Somalia border and on the Kenyan coast. You should be alert to the heightened threat of terrorist kidnapping targeting Westerners, including British nationals. Westerners have been the target of kidnaps in northern, north-eastern and coastal areas and further kidnaps in these areas are likely. On 20 November 2018, an unknown armed gang attacked a trading centre in Chakama in Kilifi County, and abducted an Italian NGO worker. A number of kidnaps have occurred in Dadaab refugee camp in north east Kenya. British aid workers and others working at or visiting Dadaab refugee camp should satisfy themselves that those arranging their stay at the camp have sufficient security arrangements in place. If you are kidnapped, the reason for your presence is unlikely to serve as a protection or secure your safe release. There’s a heightened threat globally against UK interests and British nationals from groups or individuals motivated by the conflict in Iraq and Syria. Find out more about the global threat from terrorism, how to minimise your risk and what to do in the event of a terrorist attack. The coastal areas are predominantly Muslim. Although there are no strict dress codes, you should dress conservatively away from the tourist resorts and hotels, especially in Mombasa town, during the holy month of Ramadan or if you intend to visit religious areas. Smoking in any public place is prohibited throughout Kenya, except in designated smoking areas. Offenders can face a fine or imprisonment. If in doubt, don’t light up. The use and trafficking of illegal Class A drugs in Kenya carries heavy fines and jail sentences. The penalty for possession is 10 years in prison. Taking photographs of official buildings, including Embassies, can lead to detention. If in any doubt, don’t photograph or film around them. Photography is also prohibited at airports. You must get permission to carry any kind of firearm before you enter the country. Plastic bags have been banned for environmental reasons. It is illegal to destroy Kenyan currency. Homosexual activity is illegal. Public displays of homosexuality like holding hands or kissing in public places could lead to arrest and imprisonment. See our information and advice page for the LGBT community before you travel. You must carry a form of ID with you at all times. A copy of your passport is normally acceptable, but recently some police officers have been insisting on the original document. It is illegal to buy, sell, kill or capture any protected wild animal or trade any of its parts without a licence. Kenya is a signatory to the Convention on International Trade in Endangered Species of Wild Fauna and Flora (CITES) under which there’s a ban on the international commercial trade in ivory. Those caught purchasing or trafficking banned goods will be prosecuted and receive prison sentences and/or fines. UK Emergency Travel Documents (ETDs) are accepted for entry, airside transit and exit from Kenya. ETDs must be valid for 6 months. All ETD applicants are required to obtain an exit stamp from Kenyan Immigration prior to departure. If you’re coming to live and work in Kenya, you must have a work permit before starting employment. It’s illegal to work without one. This needs to be applied for before coming to Kenya to work. This also applies to voluntary work and the self-employed. You can apply for a work permit at the Department of Immigration Services website. The government of Kenya has recently reiterated the need for all foreign workers in Kenya to have (and carry with them) the necessary work permits and documentation, and has promised swift action against those who do not comply; this includes deportation. Work permits are not always granted; the government of Kenya is prioritising the availability of high quality jobs for Kenyan nationals, and may not grant a work permit to a British national if the job in question could be done by a Kenyan national. If you’re already in Kenya, and your application for a work permit is successful, you will be required to hand in your passport to immigration for a permit stamp to be inserted. During this period, you should always carry a certified copy of your passport for identification purposes. A local lawyer can provide this. On 20 April 2018, the government of Kenya announced a shift to e-permits replacing all existing and future work permits. Anyone holding or needing a work permit was required to register for an e-permit at Nyayo House before 21 July 2018. If you’ve missed this deadline, you should seek advice from Nyayo House. Cholera, malaria, dengue fever and other insect-borne infections occur in Kenya. You should take precautions to avoid being bitten by insects. On 1 August 2018, an outbreak of Ebola was declared in Béni territory, North Kivu Province in the Democratic Republic of Congo. Kenyan authorities have put in place additional screening measures at some airports and border crossings in Kenya for those arriving from affected areas. The latest updates can be found on the WHO website. You should drink or use only boiled or bottled water and avoid ice in drinks. Don’t eat food prepared by unlicensed vendors. If you need emergency medical assistance during your trip, first deal with the emergency with first aid skills if possible and then move onto the nearest, largest Accident and Emergency department. In Nairobi this is either Nairobi Hospital or the Aga Khan University Hospital. Due to a current cluster of cases of cholera at the Nairobi Hospital in April 2019, you should consider the need for urgent treatment and use the Nairobi Hospital if travelling to other emergency departments would cause delay in reaching appropriate medical care. See the National Travel Health Network and Centre website for further information. Kenya lies on an active fault line and tremors occur from time to time. The last significant earth tremor to affect the region was of magnitude 5.2 in 2007. ATMs are widely available in Nairobi and the main towns and credit cards are widely accepted. It’s unlikely you’ll be able to exchange Scottish or Northern Irish banknotes in Kenya.